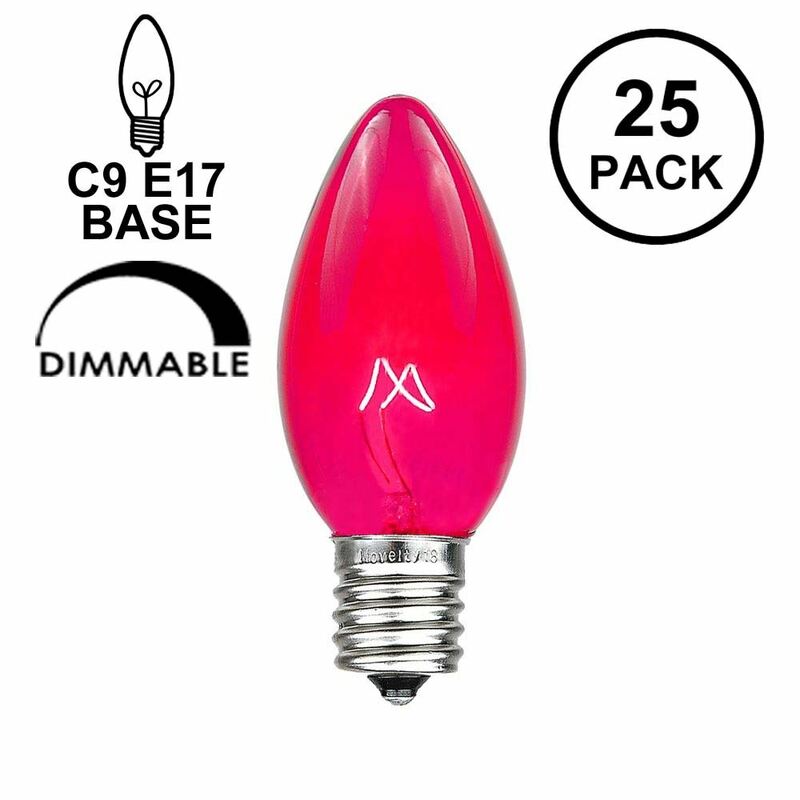 C9 transparent light bulbs proved superior with vivid coloring for your Christmas light display. 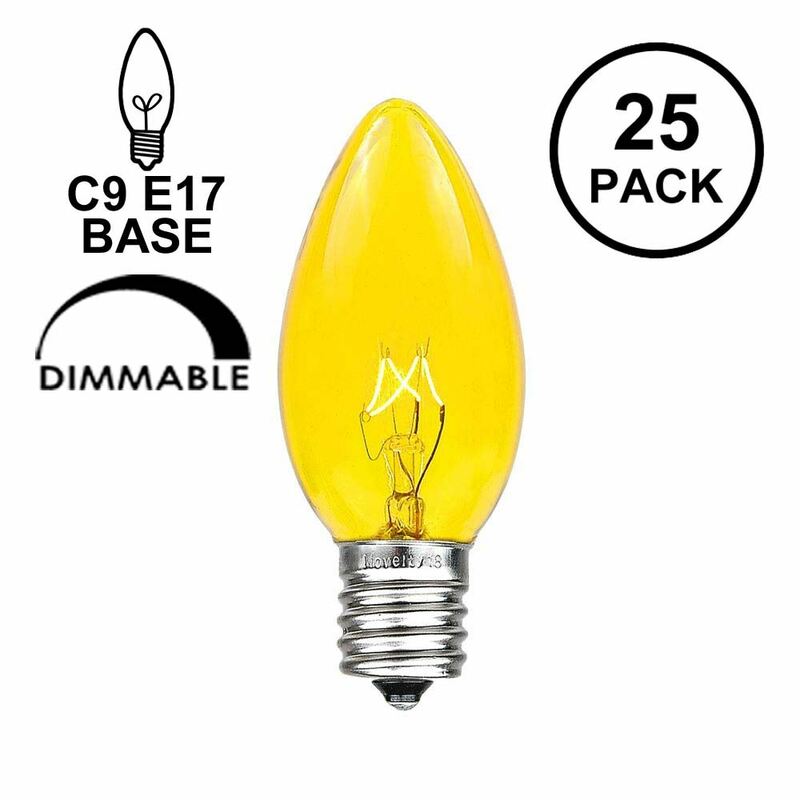 These 7-watt, 130-volt bulbs with intermediate base will shine bright for 3000 hours. 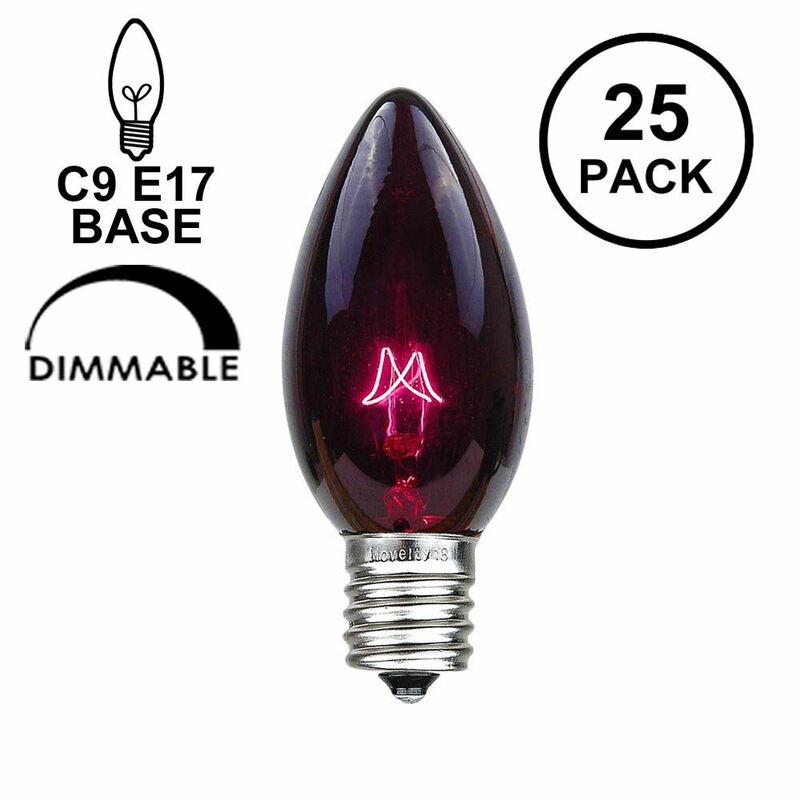 You can use these traditional C9 bulbs for all kinds of outdoor lighting decoration. 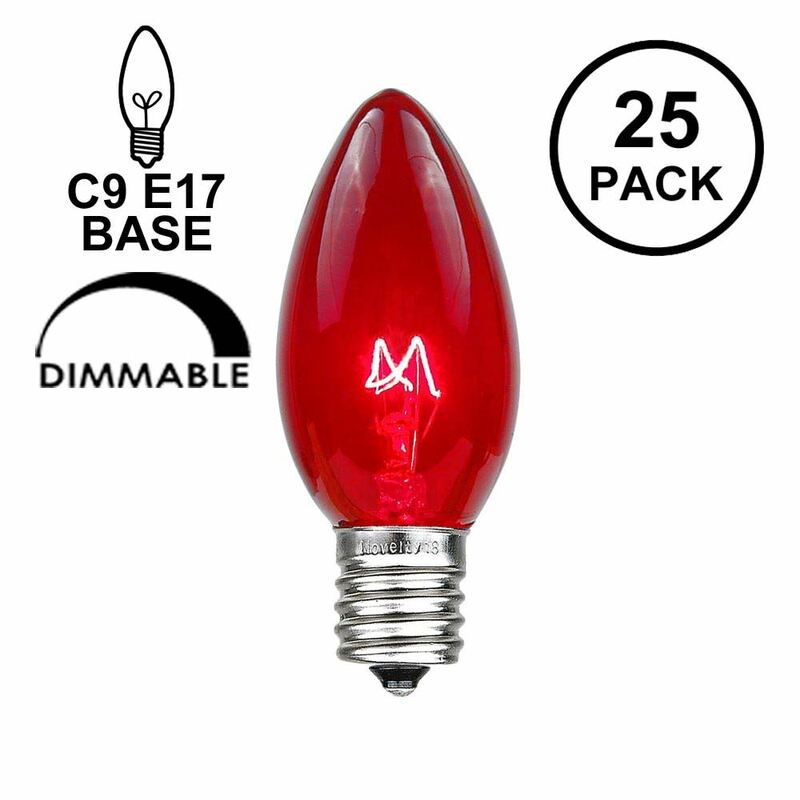 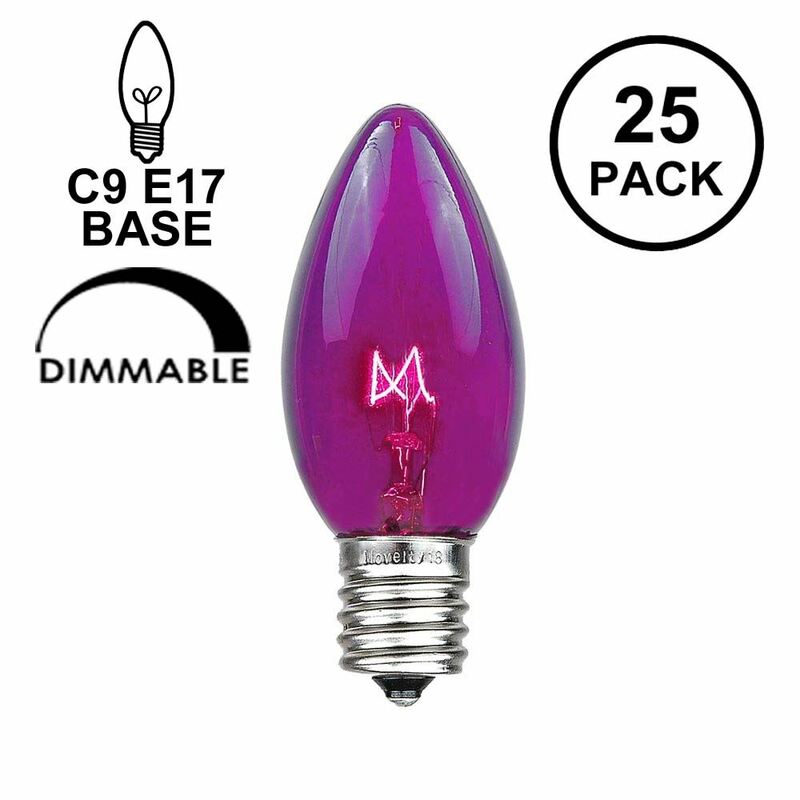 Each C9 transparent bulb has an intermediate base (E17) 3" tall and 1 1/4" wide. 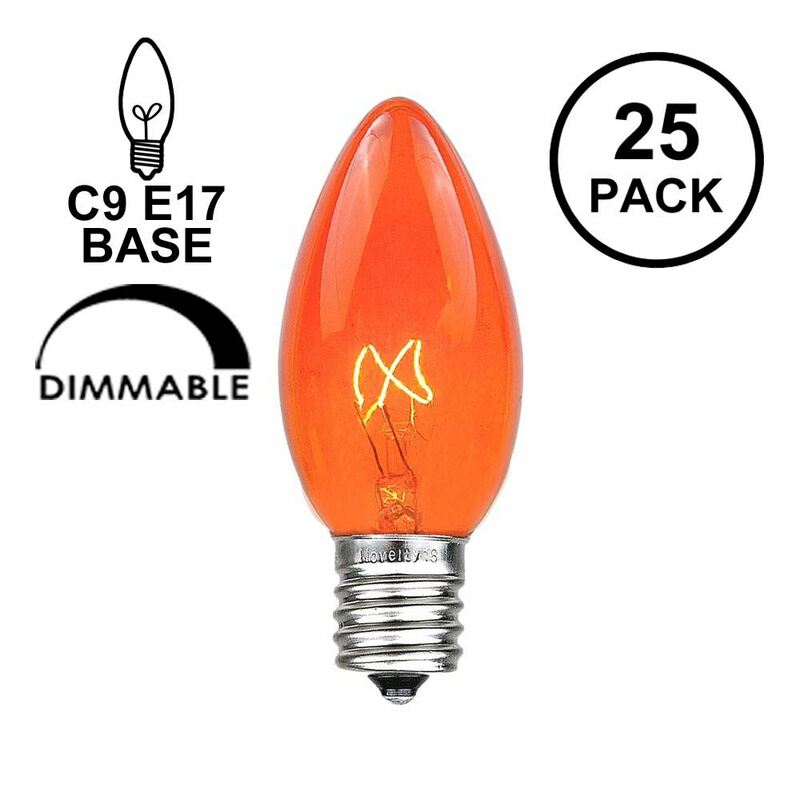 These bulbs screw into our C9 Stringers (25' & 100'), our E17 Heavy Duty Light Strings (25', 100' & 330'), our commercial grade bulk 1000' C9 spools as well as our vintage Twisted Wire Strings with E17 Bakelight Sockets. 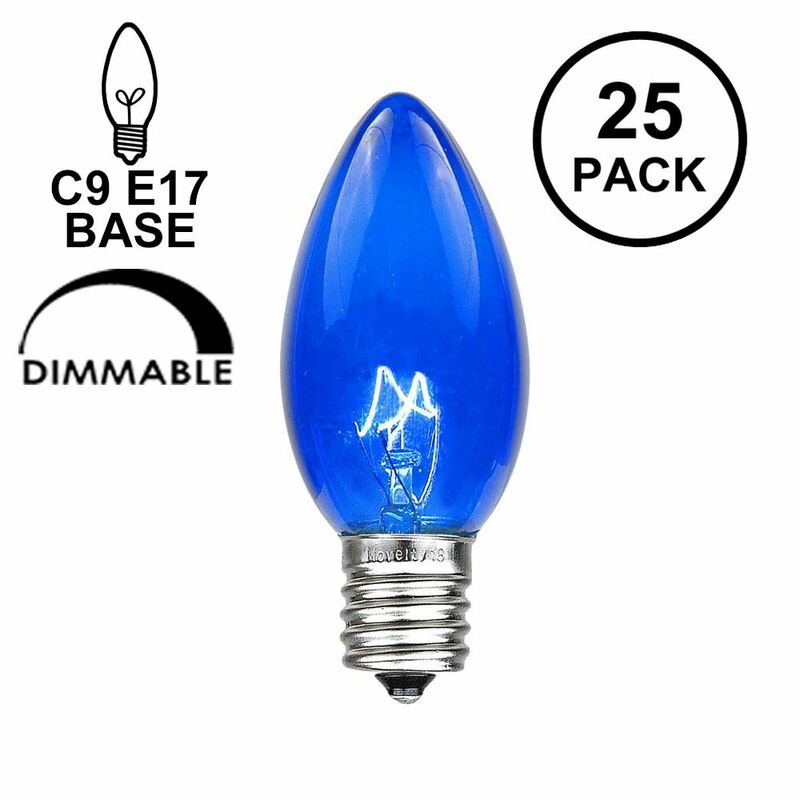 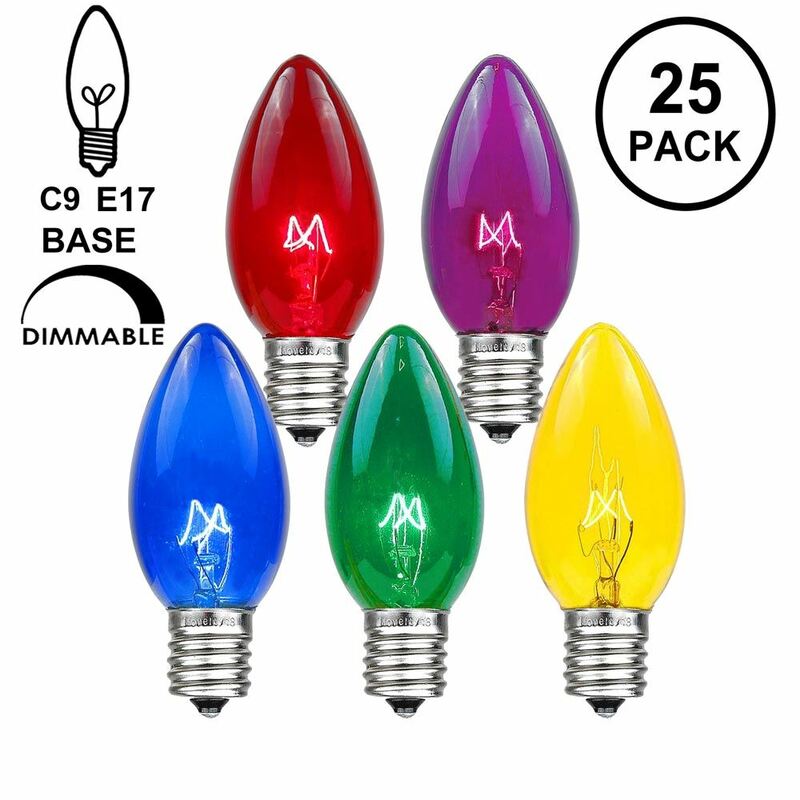 Choose clear or colored transparent bulbs that are sold in packs of 25 bulbs in the following colors: Red, Blue, Green, Yellow, Amber, Pink, Purple, Teal and our Assorted color pack. 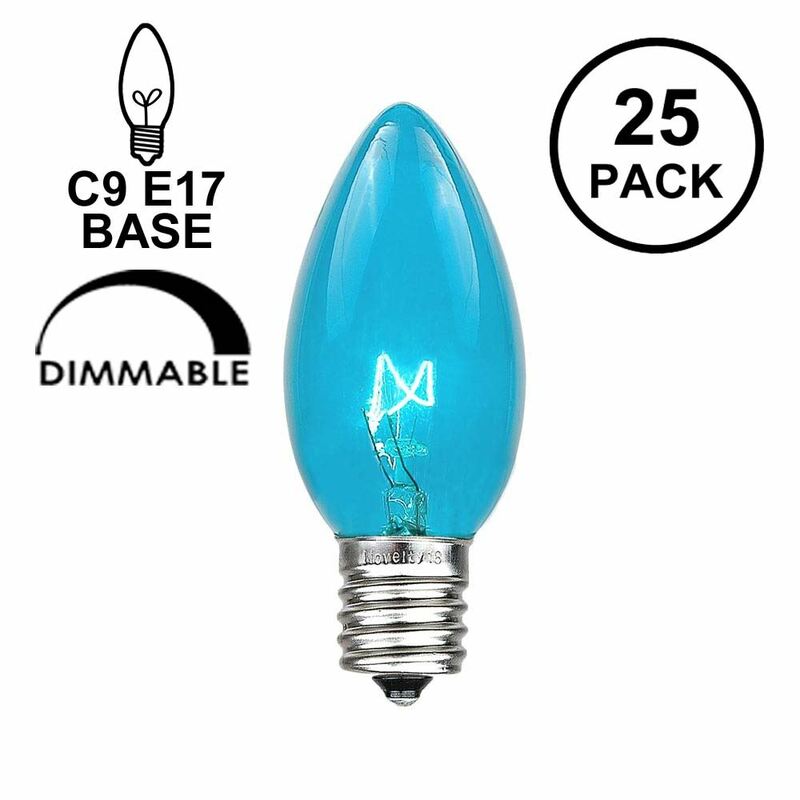 If the color is not listed in the below menu it is temporarily out of stock. 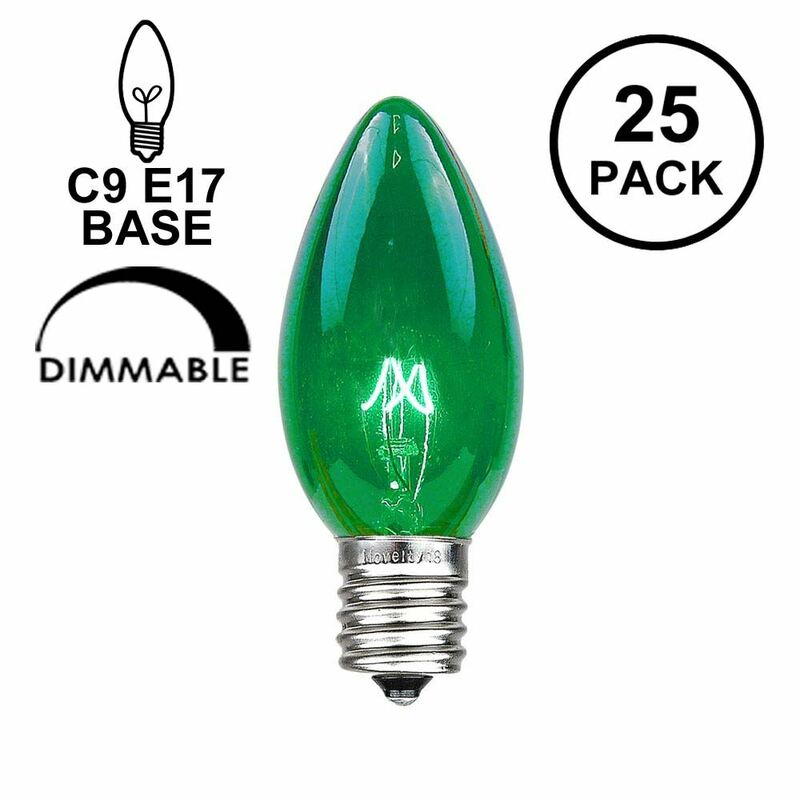 Please contact us for estimated date of availability by phone at 800-209-6122 or by email.